There is so much to love about Seattle already, and I’ve only been here a week and a half! But before I go off on a tangent, I’d like to start with the city’s most stunning quality: its lush vegetation that earned it the nickname The Emerald City in 1981. 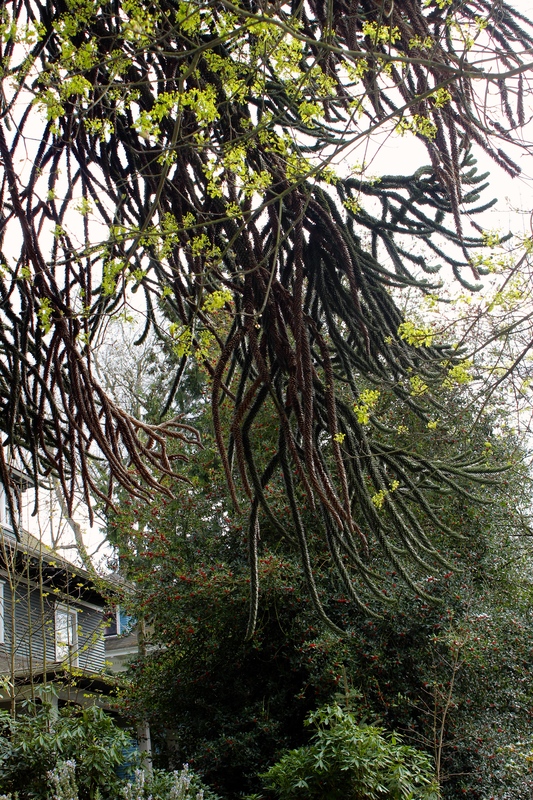 Seattle can be best described as an urban forest. 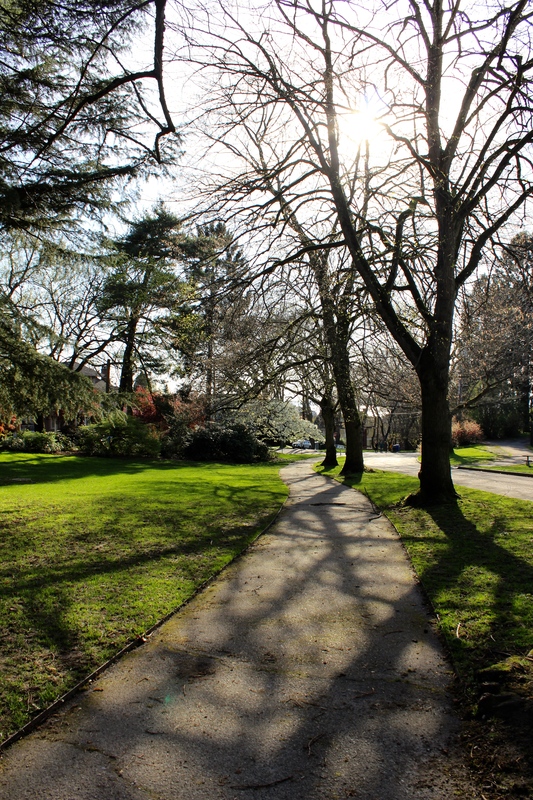 Much of its urban spaces, even in the downtown area, are taken up by an interesting combination of shade-loving plants, from wild rose bushes to insanely tall pines (my favorite of which is the monkey tail pine tree, a non-native species that has become heavily present in the northwest United States and parts of Canada). 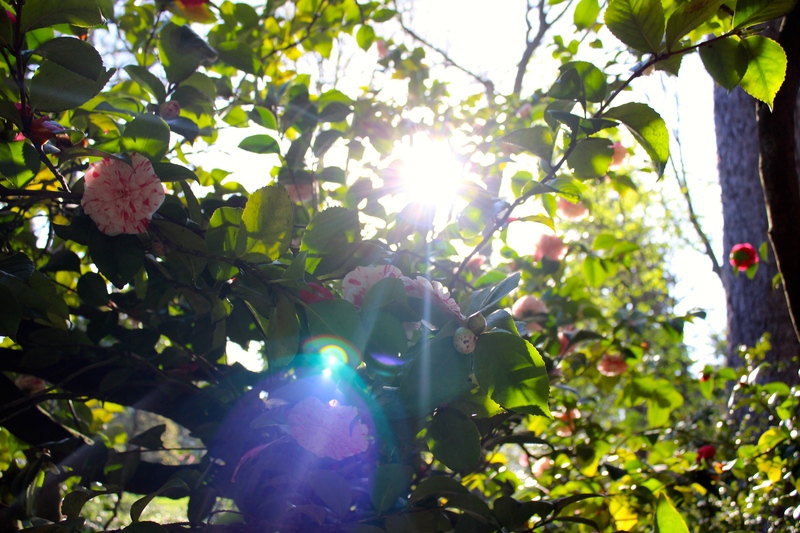 Playing off the light with this Rose Bush. 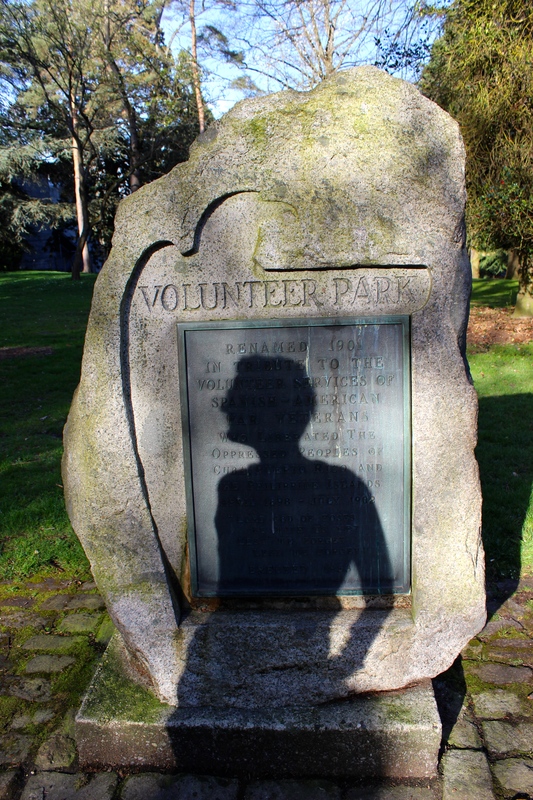 Volunteer Park is named after the volunteers of the Spanish-American War. 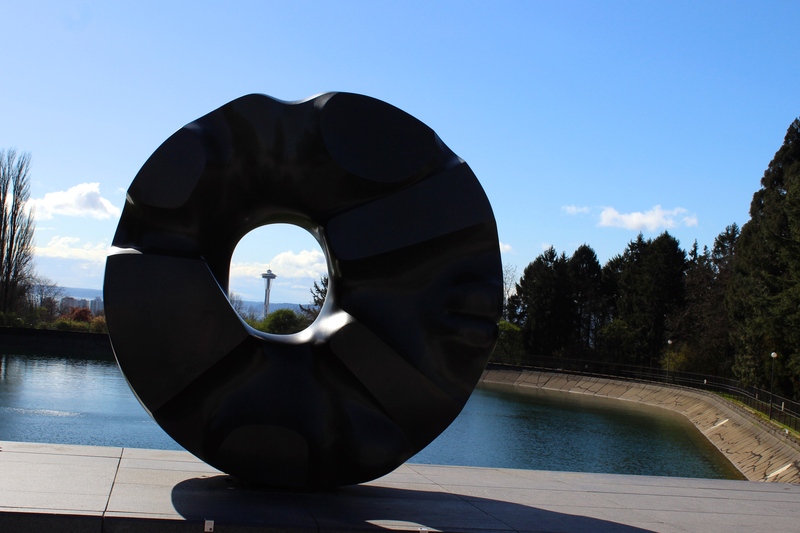 The iconic Space Needle/Donut shot… sort of. But Seattle should be known for being “emerald” in other ways, as its environmental efforts towards keeping the city clean and responsible are the best I’ve seen out of any city I’ve lived in up to this point, including Burlington. While Burlington does an amazing job at staying local when it comes to food and business, Seattle brings the eco-conscience home by requiring that every citizen participate in composting or else face legal fees until the problem is fixed (effective July 2015). Seattle has also made excellent strides in conservation through education. The city refers to its urban trees as “ecosystem services,” as they offer benefits such as the trapping and slowing of rainwater, carbon sequestration, energy conservation, the improvement of air and water quality, etc. Seattle even has its own state-of-the-art software for analyzing its urban trees, called the iTree. I get the feeling here that people are really resourceful. This is the first time traveling that my boyfriend and I have decided to forego a furnished place and get a cheaper, unfurnished apartment. Our plan is to furnish the our home with free stuff we find off Craigslist. Now, my initial reaction to this was “Ew!” at the thought of sitting on someone else’s old couch that had God knows what seeped into its fabric (puke? hookah smoke?). But after perusing Craigslist, I saw that most of the free furniture available was in great condition, and people were even willing to help you load anything up once you arrived. So far, we have found a beautiful corner couch, an adorable, insanely clean floral love seat that pulls out into a sofa bed, a queen mattress and bed frame, and a perfectly preserved dining room table with four wooden chairs. There is still much to add to our place, but if Craigslist doesn’t have the answer, Seattle has other resources for free stuff such as the Buy Nothing Project and Freecycle. One more thing before I go. I was walking around the other day (as my bike is still packed in the Jeep until we move into our new place on Monday), and I came across a very strange-looking park under the I-5 highway, with little wooden trails and bridges winding throughout it. It turns out the park is called the I-5 Colonnade, a mountain biking trail created out of an otherwise useless space under the highway that connects two neighborhoods, Capitol Hill and Eastlake. The park was funded and constructed by the Evergreen Mountain Bike Alliance in its phase 1 of construction, while phase 2 was funded by the Seattle Neighborhoods Matching Fund. As I kept walking past it, I noticed other, smaller, seemingly useless spaces converted into peaceful sanctuaries or small parks. Maybe it’s all the green, but Seattle feels more like an adventure to me than ever before. I can’t wait to keep exploring! Superb travelogue, Samantha! I feel like I’ve just enjoyed a fantastic vacation without the driving, cheap motels, and a boatload of greasy fries at every place we stop. Thanks! 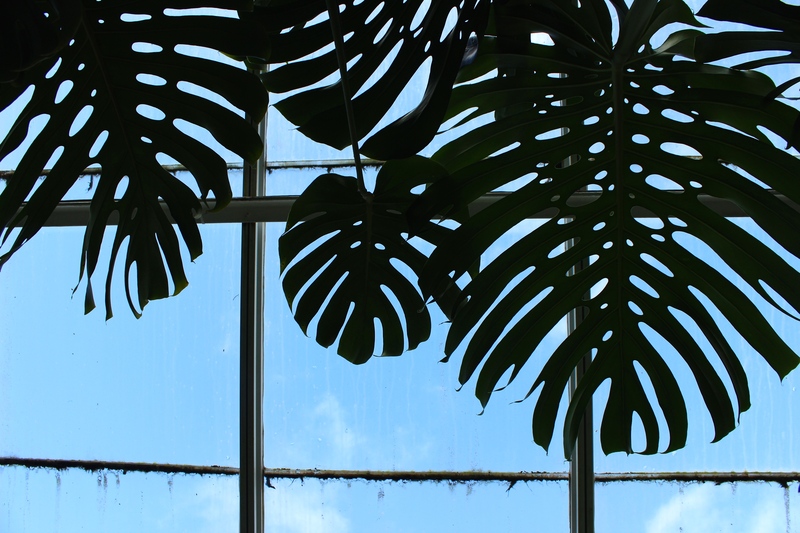 Love Volunteer Park! Welcome to Seattle!